Live in the sunshine and swim in the sea. 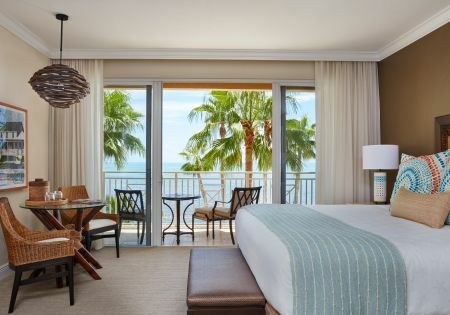 Find pleasure in paradise with a stay in one of our Oceanfront Guestrooms and Suites at Cheeca Lodge and Spa where you’ll be greeted by fine furnishings, modern amenities and a sophisticated ambiance. 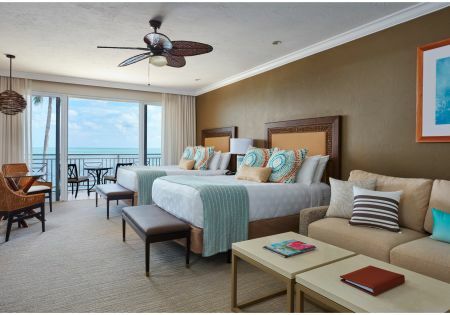 Distinguished for its proximity to the ocean, these guestrooms welcome guests with the best that the Florida Keys have to offer and sweeping views perfect for picture taking. 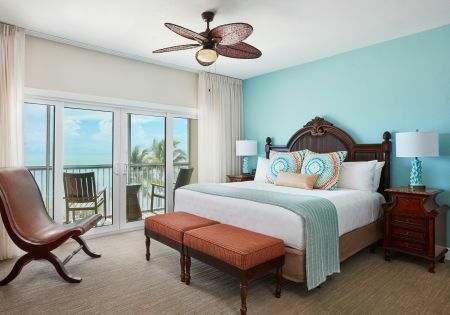 However you choose to spend your time in Islamorada, our Oceanfront Guestrooms and Suites are an ideal home base for your journey. *Accessible rooms available upon request. Please contact our reservations team by email or by phone at 800-327-2888 for more information on how to reserve an accessible room. Discover an open floor plan featuring 840 sq. feet of living space perfectly situated in the Main Lodge - just steps from the beach, with floor to ceiling glass walls revealing incomparable panoramic views of the azure Atlantic, and expansive private lanai with intimate seating area and romantic open-air spa tub. An oasis awaits at our Lodge Oceanfront King Suite where you’ll be greeted by 840 sq. feet of living space and an open floor plan. Discover impressive décor and an enviable location just steps from the ocean. Indulge in panoramic views from a private balcony with seating area and open-air spa tub. *Accessible rooms available upon request. Please contact our reservations team by email or by phone at 800-327-2888 or by email at ada@cheeca.com for more information on how to reserve an accessible room. Need extra space? This suite may be connected to an Oceanfront One Bedroom Suite to create a Two-bedroom unit that accommodates up to 6. Need extra space? 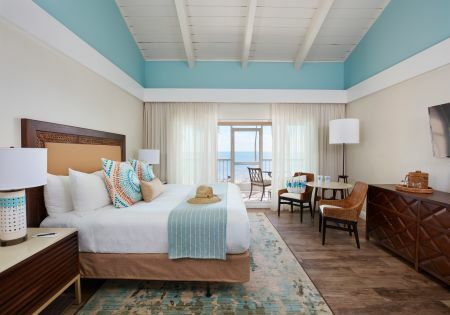 This suite may be connected to an Oceanfront King Guestroom to create a 2-bedroom unit that accommodates up to 6. This oceanfront adult only area room boasts 415 sq. 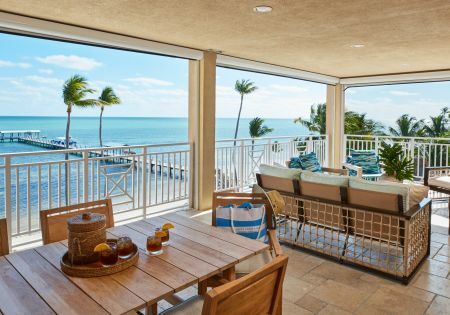 feet of living space, classic Florida Keys décor, and a private screened in balcony offering spectacular views of the Atlantic. Enjoy an oceanfront oasis that stretches over 1,400 sq. ft. offering large living and sleeping spaces in addition to spectacular views of the Atlantic Ocean and beyond.